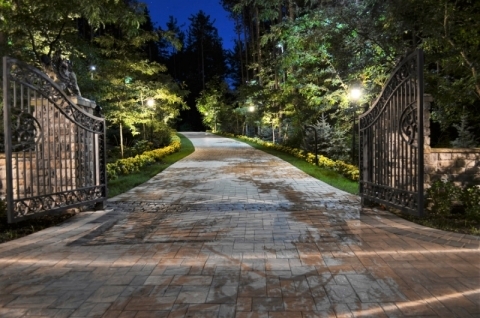 Each estimate begins with an open consultative approach with the customer. Careful consideration is given to architectural features as well as landscape motifs, resulting in spaces that are both visually pleasing and functional. 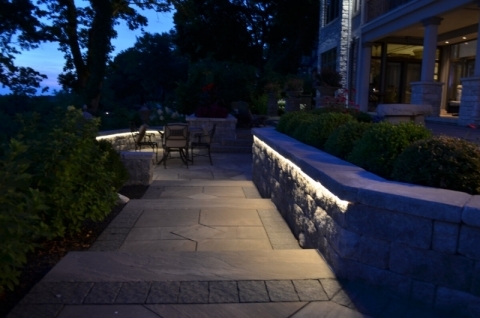 Deck& Patio Lighting A special form of accent lighting that highlights outdoor seating areas. This technique produces a diffused, warm and welcoming glow. Path Lighting — The primary purpose is to draw attention to paths, stairs, curves and corners. This type of lighting adds style to otherwise overlooked areas while promoting safe and efficient movement of foot traffic. 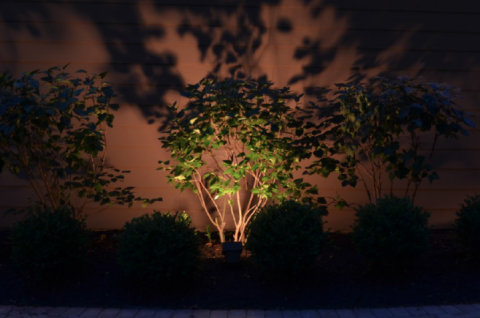 Silhouette/Shadow Lighting — Used to illuminate the shapes of foliage and objects, this technique requires a vertical backdrop upon which to cast the shadow. Not only does it maximize the depth of the viewing space but creates high drama to outdoor living space. Moon Lighting — A warm glow simulating the natural light of the moon. This technique casts a soft blanket of light from above resulting from elevated fixtures. 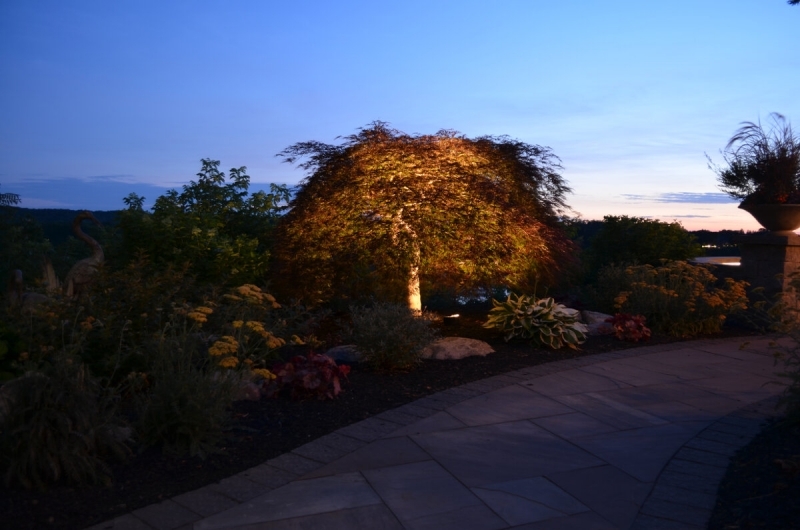 Up Lighting — Ground mounted fixtures illuminate trees and hardscapes such as sculptures, walls, waterfalls, and fountains. 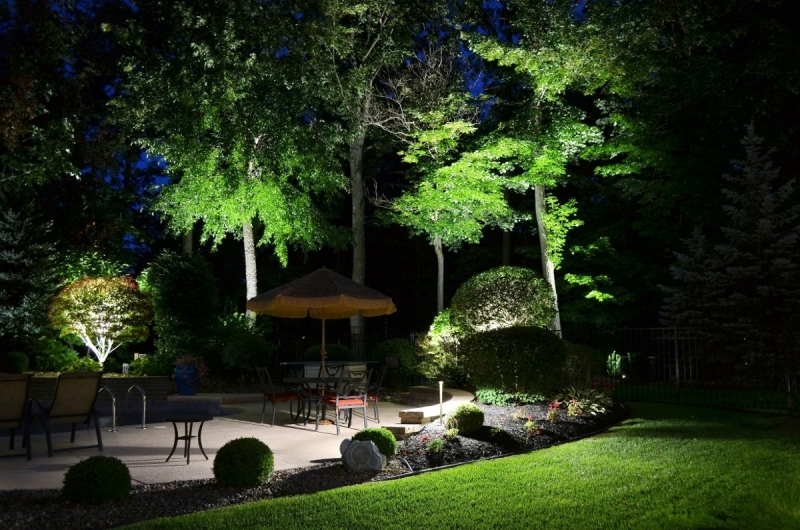 This lighting eliminates glare and extends outdoor living space, while adding beauty to the environment.